Sorenson Farms is a third generation family-owned farming operation in southern Minnesota. The farm began when Joseph Sorenson began farming the land around his home. 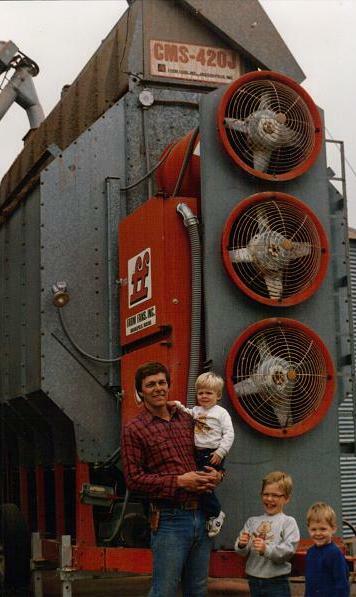 His hard work and love for farming was passed on to his sons, who later joined the operation in the late 60's. From there, Sorenson Farms has grown and permutated several times to keep pace with current technology and farming trends. The most notable change was in 2004 when Sorenson Farms parted ways from a 20 year history with ridge tilling to conventional till. Today Sorenson Farms has also welcomed the two oldest sons of Robert, Mike and Tim, who are now owner operators. Sorenson Farms is a family-owned farming operation in southern Minnesota. 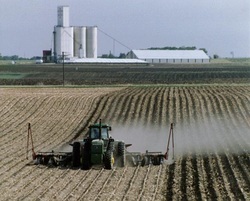 Farms are scattered throughout Watonwan, Blue Earth and Brown counties where the land is prime for corn or soybean crops. These crops are marketed to local grain elevators, ethanol plants and soybean crushers. Bob Sorenson and his three boys, Josh (left), Tim (middle) and Mike (right) in 1987. At this time, the boys were 3, 4 and 7 years old. Now, the boys look to maintain their life on the farm and sustain the family farm into the next generation. At the time of this photo, the Farm Fans dryer seen in the background, was unusually large for a farmer to own. Drying and storing corn on farm has substantial cost and value benefits if properly managed. Today, this dryer has been replaced with one that is much larger and more efficient to help relieve a bottleneck during harvest. From the early 1980s through 2004 Sorenson Farms were ridge-till farmers. 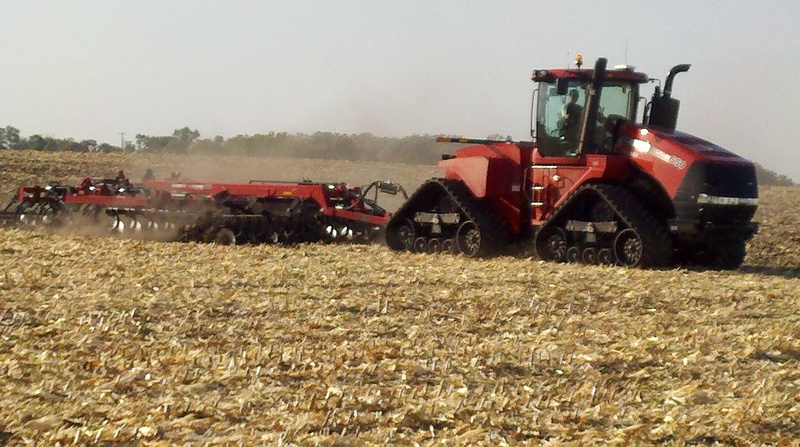 This helped reduce trash, compaction, seasonal labor and fall tillage. In the Madelia area, only a handful of other farmers used this practiced. 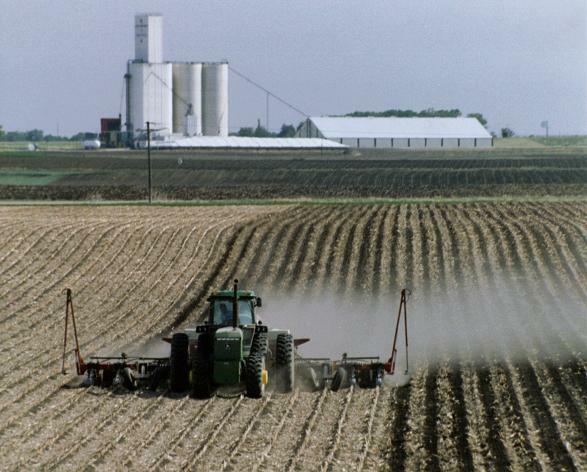 In 2004, the farm made investments in growth that included a transition from ridge-till to conventional-tillage. This was a well timed transition to realize economies of scale for the investment in new equipment.